Bathtubs and bidets have been removed of all bathrooms. For next season 2016 all bathrooms will be equipped exclusively with toilet, sink and shower. General Description: S'Illot Club in S'Illot has 55 rooms and was renovated in 2010. The hotel is located directly at the sandy beach. 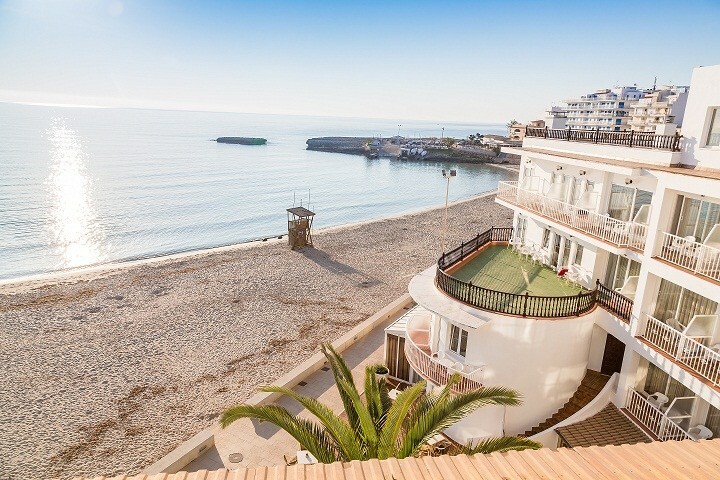 The closest cities to the hotel are Manacor (18 km) and Porto Cristo (5 km). Other cities: Palma De Mallorca (71 km). To make your stay more comfortable a lobby, an elevator, air conditioning and a reception are available. The staff in this 3 storey hotel speaks Spanish, English, German, French and Italian. Mobility on holiday is simplified through car rental. Sunshades and sunbeds are available for an additional fee at the beach. Distance from the hotel to: Cap Farrutx (32 km), disco (100 m), horse riding (34 km), Castillo De Capdepera (20 km), Cuevas Del Drach (9 km) and airport PMI (68 km).